Her outstanding academic improvement qualified her to gain admission into Instituto’s Carreras en Salud program, beginning with the Basic Nursing Assistant (BNA) module. During the last weeks of the BNA module Delia’s apartment caught on fire devastating her family. Even with this traumatic setback she still went to class on Monday ready for an exam. 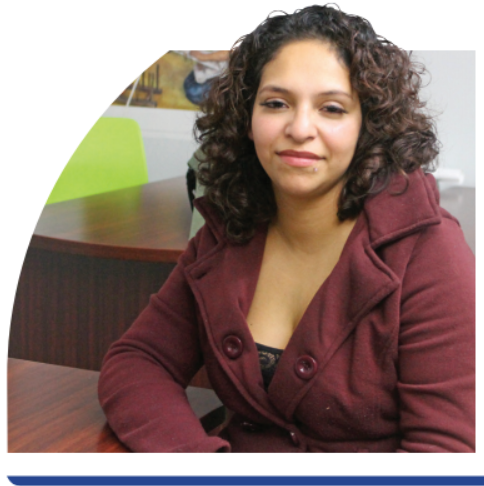 And, with the help of Instituto’s financial coach, she was able to secure funds to rent another apartment. Delia is currently enrolled in Instituto’s Pre-LPN classes seeking advance her education and eventually become a Registered Nurse. Heidi Brito was an out of school youth and unemployed before she enrolled in the WIOA Youth program with the Department of Student Services and Community Affairs at Instituto. Within two weeks of her enrollment, with the support and guidance from the employment specialist, Heidi began the Home Care Services Pre-service training to become a Home Care Aide at Casa Central Social Services. 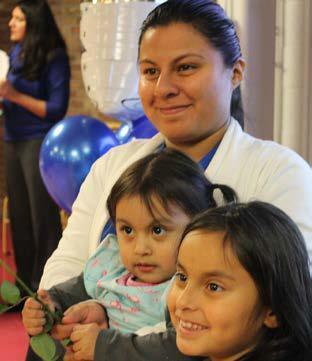 She received the certificate of achievement from the Home Care Services Program and was hired by Casa Central. During the first two months at Instituto, Heidi received services that enabled her to learn how to become financially stable. Heidi proactively enrolled into higher level pathways and in September 2017, she began the Basic Customer Service class in the retail career pathway. Heidi completed the Retail Program, and received the Customer Service and Sales Credential from the National Retail Federation. She also participated in and graduated from the Familias Exitosas program where she received parenting classes while she was advancing her career. In January 2018, Heidi enrolled in Pre Licensed Practical Nurse (Pre-LPN) program with Healthcare Career Pathways where she successfully completed the Basic Nurse Assistance Training. She currently is preparing to take the state exam to become a Certified Nurse Assistant, and wants to continue her education to become a Registered Nurse. With her outgoing and caring personality, she always leaves a friendly and professional impression on anyone she meets. Heidi is an inspirational representative of Instituto’s mission to fully develop our participants and help them to succeed.